A round-up of people who have appeared before Wigan and Leigh magistrates. Liam Michael Finney (30): Beeston Grove, Leigh - Damaged a Volkswagen Polo to the value of £1,500 belonging to Paul Morton, damaged windows at Beeston Grove, belonging to Wigan Council, to the value of £600, assaulted Shaun Prescott by beating: Jailed for four months, pay a surcharge to fund victim services of £115. Leon Slater (19): Church Avenue, Bickershaw - Handling stolen goods, namely a Vauxhall Insignia to the value of £2,000 belonging to Swift Dental Labratory, drove the stolen Vauxhall Insignia on Stephen Street without insurance and without a licence: Jailed for 28 days, pay a surcharge to fund victim services of £115, disqualified from driving for six months. Christopher James Holden (29): Kermishaw Nook, Tyldesley - Stole a pair of glasses to the value of £149 from Specsavers: Discharged conditionally for 18 months, pay £149 compensation, pay a surcharge to fund victim services of £20. Craig Andrew Higgins (26): Church Avenue, Bickershaw - Breach of the peace in Wigan; Bound over in the sum of £100 for 12 months. Neil Pearson (48): Bow Road, Leigh - Without lawful excuse entered a premises on Bow Road that was the subject of a closure order: Fined £40, pay a surcharge to fund victim services of £30, pay costs of £30 to the Crown Prosecution Service. Lewis Edwin William Stott (22): No fixed address - Breach of the peace in Atherton; Bound over in the sum of £100 for 12 months. Kelsey Lilleth Gwendoline Brown (20): Hilda Street, Leigh - Possession of crack cocaine, possession of a spoon with traces of diamorphine on it: 12-month community order with drug rehabilitation requirement. 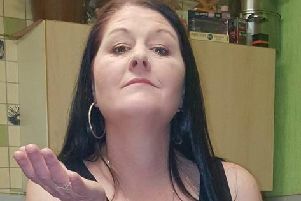 Ann-Marie Edwards (33): Empress Drive, Leigh - Failed without reasonable excuse to comply with a suspended sentence order: Suspended sentence order to continue but made more onerous with a four-week curfew. Richard Darren Farrimond (31): Fell Street, Leigh - Failed without reasonable excuse to comply with a community order: Community order to continue but made more onerous with a four-week curfew. Shaun Kearsley (45): Castle Street, Tyldesley - Failed to comply with a suspended sentence order given for driving while disqualified: Jailed for eight weeks for the original offence. Bradley Shane Whiteside (24): Bonneywell Road, Leigh - Used a Vauxhall Astra without insurance, drink driving on Twist Lane with 82 microgrammes of alcohol in 100 millilitres of breath, with the legal limit being 35 microgrammes: Fined £300, pay costs of £85 to the Crown Prosecution Service, disqualified from driving for 22 months. Ben Thomas Hilton (23): Porlock Close, Platt Bridge - Drug driving with a cocaine derivative in the blood above the legal limit: Fined £120, pay a surcharge to fund victim services of £30, pay costs of £85 to the Crown Prosecution Service, disqualified from driving for 12 months. Adam Shannon (29): Falkirk Grove, Norley Hall - Drink driving with 67 microgrammes of alcohol in 100 millilitres of breath, with the legal limit being 35 microgrammes: Fined £120, pay a surcharge to fund victim services of £30, pay costs of £85 to the Crown Prosecution Service, disqualified from driving for 22 months. Jack Halliwell (27): Daleside Avenue, Ashton - Failed without reasonable excuse to comply with a community order: Community order to continue but made more onerous with a four-week curfew. Gareth Lee Pickton (30): DeTrafford Drive, Higher Ince - Failed to comply with the community requirements of a suspended sentence order: Fined £300.